The Artesian has been named the world’s best bar at the eighth annual Spirited Awards, the grand finale of the 2014 Tales of the Cocktail Festival. The world’s best bars, bartenders, brands and drinks writers were honoured at the annual Spirited Awards, held at The Sheraton Hotel in New Orleans on Saturday night. 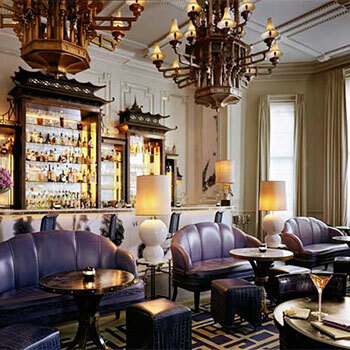 Among those recognised at the event was the Artesian at the Langham Hotel in London, which came away with the most awards on the night. Its accolades included world’s best bar, world’s best international hotel bar and world’s best international bar team, as well as world’s best bartender for Simone Caporale. Other award winners included The Dead Rabbit in New York, which was named best American cocktail bar, and Julio Bermejo of Tommy’s Mexican Restaurant in San Francisco, who won the Helen David lifetime achievement award.